Wines with altitude tend to be wines with attitude, and one of the highlights from Salón Vino de Altura was this Cabernet Sauvignon 2013 from El Esteco [pictured]. This annual trade and press fair focuses on vintages produced in Argentina’s northwest, specifically the Calchaquí Valley in the province of Salta. It’s a great little hub, gathering all corners of the market from cheap and cheerful Gata Flora to San Pedro de Yacochuya, Bodega El Porvenir de Cafayate and Domingo Molina among others. One gem I discovered was a young but very robust Cabernet Sauvignon 2015 from El Tapao del Cese. Lot of raspberry and vanilla on the nose, it was smooth yet potent drinking. 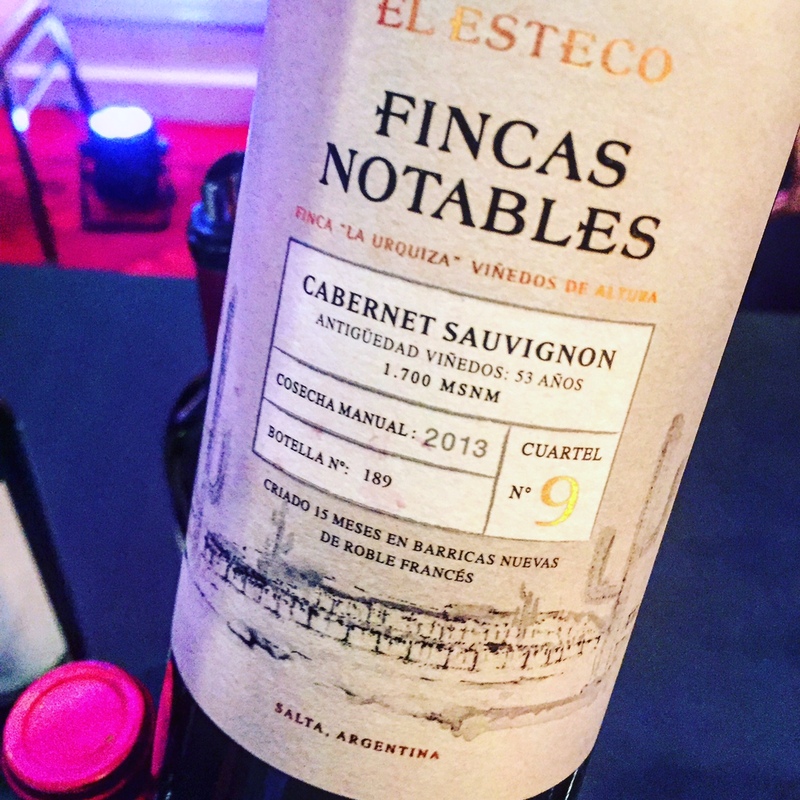 I’m in a Cab moment so it’s little surprise that one of my faves of the night was El Esteco’s 2013 from the Fincas Notables line. Sourced from 53-year-old vines at 1,700 masl with 15 months in new French oak, there’s plenty of raspberry here, some green bell pepper notes too, then a big ripe mouth, raspberry, black plum and coffee seductively velvety. 490 pesos. Cab Franc, Malbec and Tannat complete this single vineyard-focused lineup. The downside to this one-day fair was not having any vintages from neighbouring Jujuy or Tucumán on board, terroir that certainly fits the bill in terms of altitude found between 1,600 and 3,100 masl.